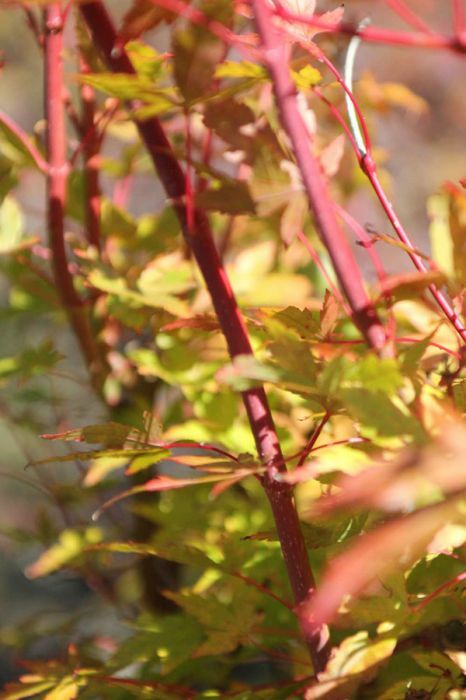 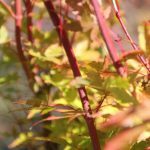 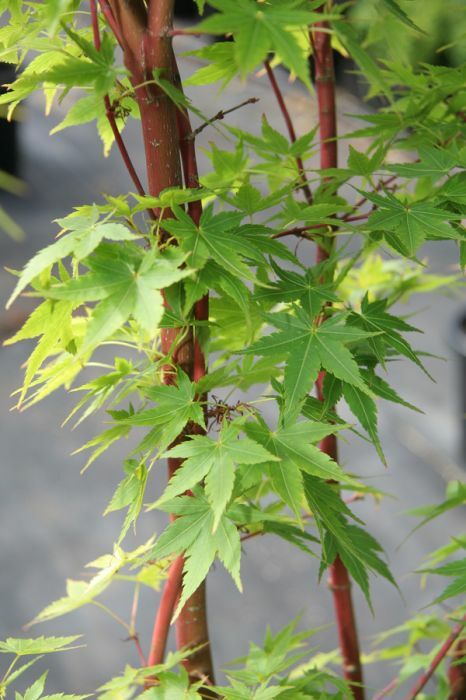 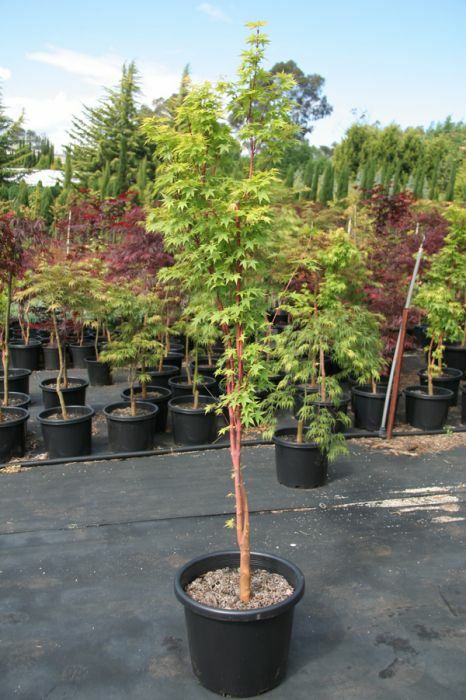 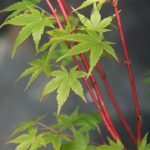 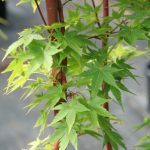 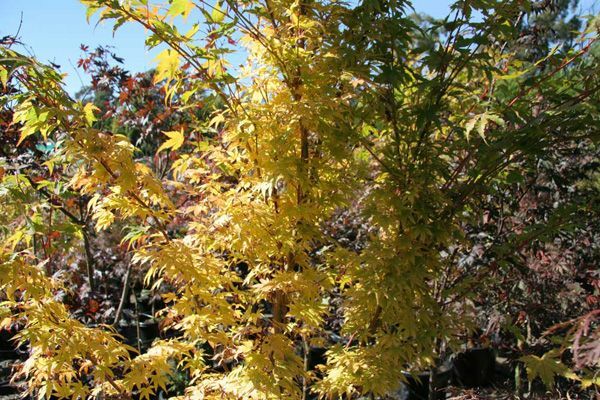 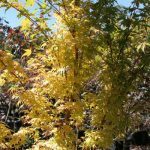 A superb Japanese Maple, forming a medium to large deciduous shrub whose five lobed leaves open into orange-yellow then turn to a soft yellow in the autumn. 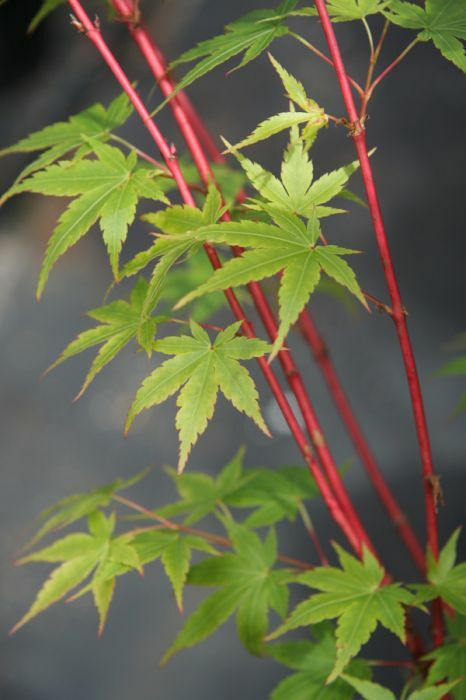  Outstanding coral-red stems. 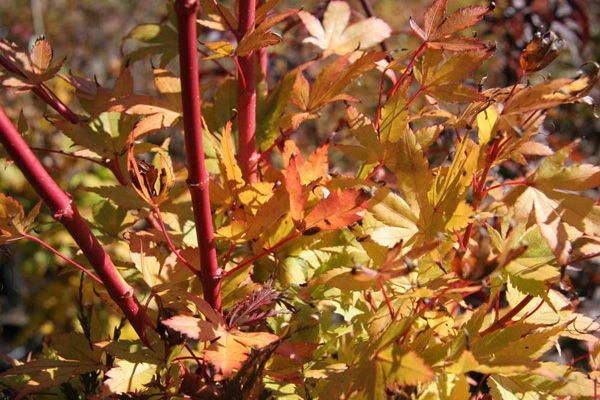 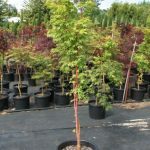 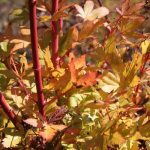 Requires a fertile, woodland type, slightly acid soil which is moist, but not waterlogged in the winter.